Run by Philip Dunkeld, One Way School of Motoring is a professional, DSA Approved, fast-growing and friendly driving school with excellent pass rates. 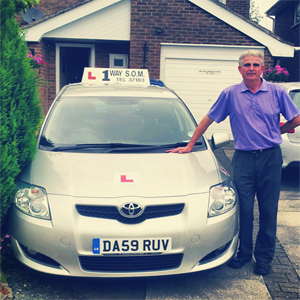 We offer driving lessons and intensive driving courses in and around Lancaster and it's surrounding areas. With over 20 years of experience, One Way School of Motoring's aim is to pass this wealth of experience on to you through our range of driving lessons and driving courses. We aim to be customer focussed in everything we do. And it doesn’t stop at your test, we can offer motorway, pass plus and refresher courses all tailored to suit your individual needs. Don’t worry if you’re nervous, we will strive to make your lessons relaxed and enjoyable.